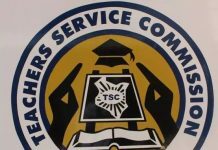 Teacher service commission (TSC) of Kenya is a body established by government of Kenya to manage human resource within the sector of education. Headquarter TSC is located in the Nairobi city though it also contains offices in all 47 counties. Its main mandates are to register qualified teachers, employ and dismiss teachers. It also serves a crucial role of interviewing and promoting teachers depending on their impact on learners. The commission offers amazing online services to teachers who are qualified and those who have been registered. If one is qualified and wants to be registered click on this link www.tsconlineregistration.go.ke to commence your registration process. Apart from teacher registration, the commission advertise for vacant Posts either for its Secretariat or in education institutions. This online System allows you to apply for any post you qualify and gives you the opportunity to track every stage of processing upto appointment. This service is dubbed as T-pay where one can register for it and conveniently access his/her payslips. The most important thing is that you can now access this service even from your mobile phone. Click here www.tsconline.go.ke/payslips to register or to log in and access your payslip. Newly employed teachers who wish to register for TSC online payslip(T-Pay) can do so following the user manual provided. Before registering, one need to have the following documents ready and scanned. The following is a step by step instructions on how you can Register on the TSC Portal and be able to access the TSC Payslips Online. Create and confirm your new password, then a secret question and provide an answer to the secret question for easy fast account recovery just in case you forget your login password. TPAD is an open appraisal system which allows teachers in primary and secondary schools to participate in evaluating their own performance and initiate their professional development. Here one can easily get latest new regarding teaching profession. Also latest circulars released by the commission can be downloaded under this category. For one to keep abreast with what’s trending under TSC its important to keep on checking through this link www.teachersonline.go.ke/notices.